Every year the London Eye plays host to millions of best friends, family days out, couples on holiday, marriage proposals, school trips, first dates, reunions and parties. London is the best city in the world and its skyline is the most iconic. But it's more than just the view. It’s about you, being together. It’s about unforgettable memories. 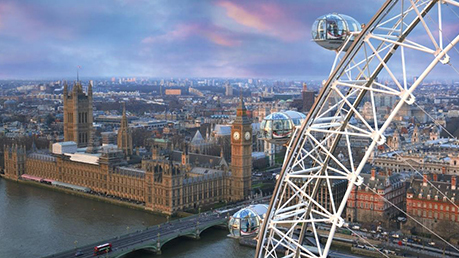 Soar up to 135 metres into the sky to see breathtaking views of Big Ben, Buckingham Palace and more, then place yourself in the skyline. This year sees the launch of #eyelovelondon where you can share your experiences on the London Eye so it can be shared with the rest of London. Share your moment and share your love of London.